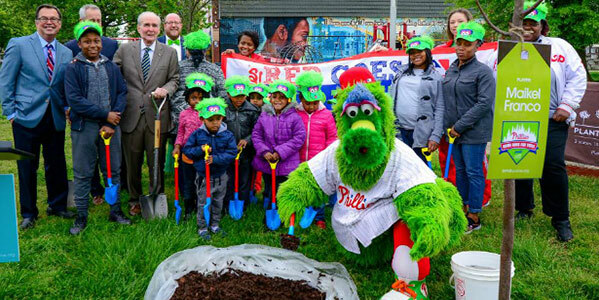 For the 5th year in a roe, the Phillies and PGW are partnering with the Pennsylvania Horticultural Society in their Plant One Million efforts. Plant One Million is a multi-state tree-planting campaign that encompasses 13 southeastern Pennsylvania counties, parts of New Jersey and Delaware. 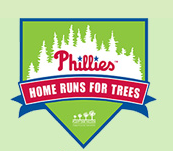 For every home run hit by a Phillies player this year, a tree will be planted as part of the program. So far, 550 trees have been planted through Home Runs for Trees.